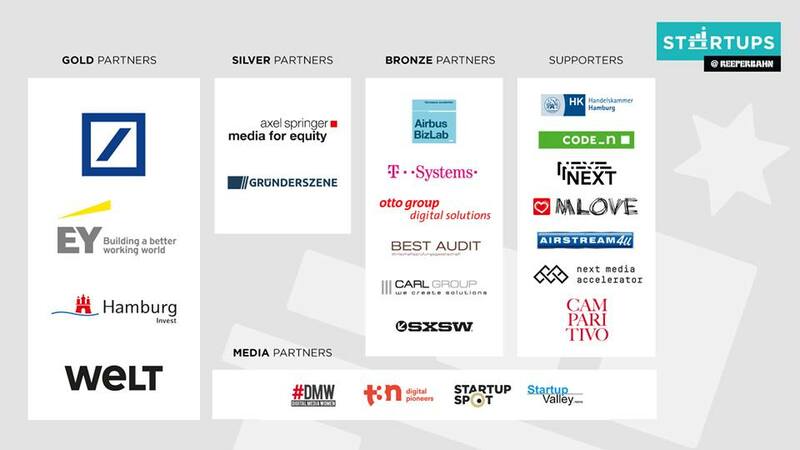 You are here: Home / Allgemein / Cargonexx rocks the Startups@Reeperbahn Pitch 2018! The Reeperbahn and the adjoining streets are usually quite quiet at noon, and the nightly hustle and bustle is still a long way off. On 19 September, the day of Startups@Reeperbahn 2018, it was all different. There was already a lot going on in front of the music club Gruenspan, because the popular Lovemobiles were ready for blind dates of starups with mentors. 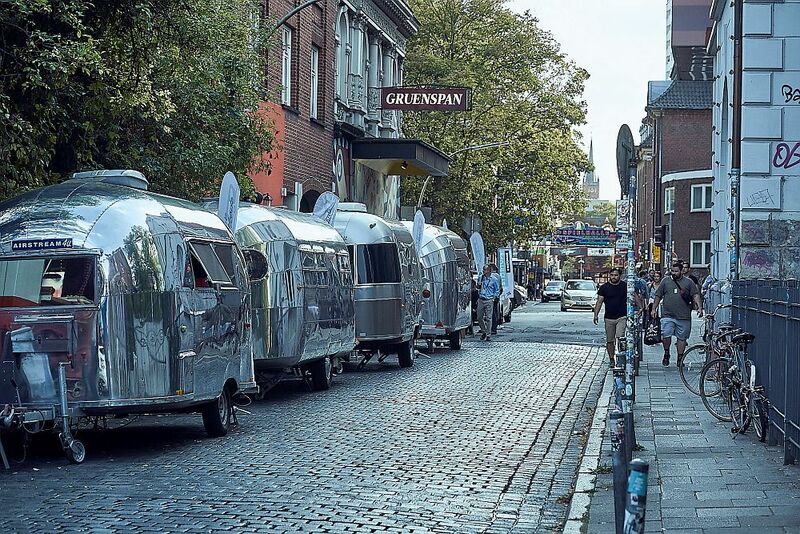 Equipped with typical accessories for this location, the Lovemobiles are caravans from the legendary US brand Airstream. The trailers are individually prepared by the company Airstream4u . Of course, we don’t know what was discussed in the cult vehicles, but we’re happy to reveal who was responsible for the good discussions there: the Hamburg Chamber of Commerce, Hamburg Invest and the Food Innovation Camp powered by Rewe Center Stanislawski & Laas each took part with their own trailer, and Deutsche Bank and Otto Goup Digital Solutions also made important contributions to the success of the blind dates. While the Lovemobile invited to a tête-à-tête for the fifth time already, a premiere took place at 1 pm on the stage of the Gruenspan. 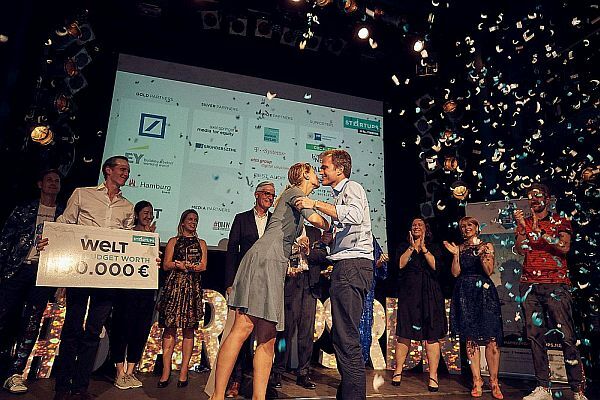 Under the title “Startup Stage”, a total of 16 startups in four blocks were able to show matching juries of experts and a large audience how diverse the scene in Hamburg is. The focus was on the sectors “Media”, “Artificial Intelligence”, “Mobility” and “Health”. It would be a pity to dedicate just a few lines to this little festival of pitches, so we will honour it with an own article, which will be published shortly. 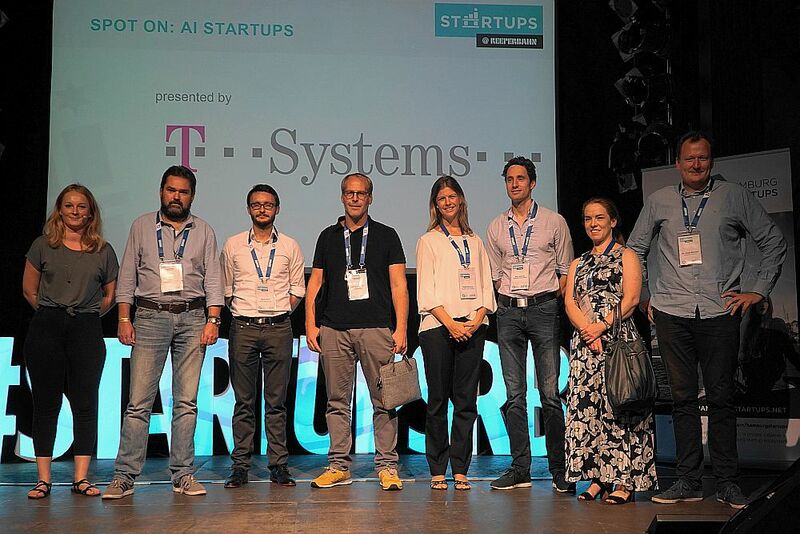 However, we would like to thank our partners for this event, next media accelerator, T-Systems, MLOVE and German StartupSpot, very much today. 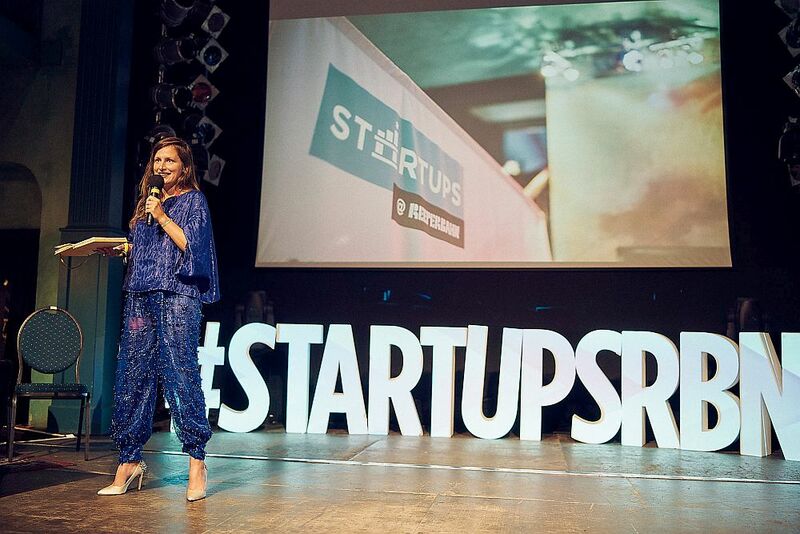 And of course Jennifer Schäfer, who not only presented her startup DailyDress but also moderated the Startup Stage. After four hours of this pitch marathon, a breather was quite welcome, and at the same time the anticipation for the upcoming main event increased. 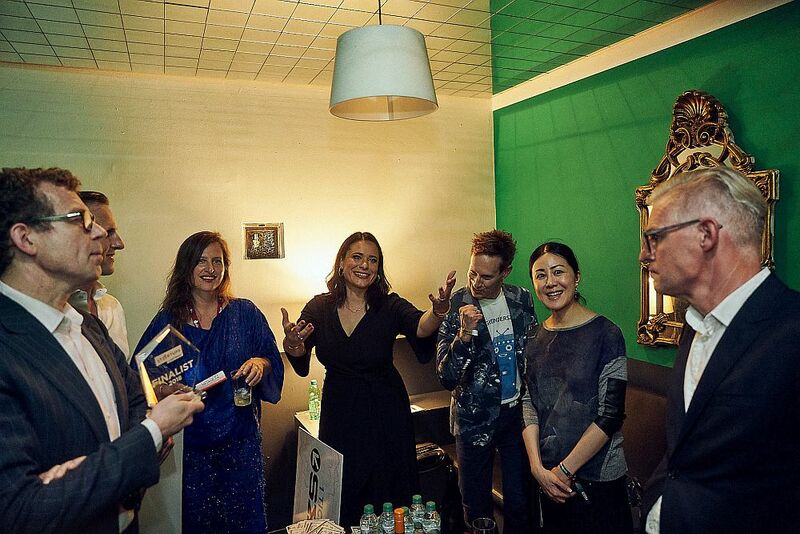 After the greetings of the organizers and Hamburg Startups founders Sanja Stankovic and Sina Gritzuhn and the clarification of the question how much the music and startup scene had in common, the American author and tech expert Leah Hunter gave the finalists some last tips. “A good pitch is like jazz” was the title of her contribution. A good pitch has rhythm, comes from the heart and is shaped by the passion of the founders for their startup. Instead of giving up, it is always a better choice to play another new note. Leah, who was also part of the jury, ended with the words: “If what you play is good, I will dance”. The first one who tried to make the whole crowded venue dance was Ulrich Busch from getINNOtized. His startup places IT experts from Ghana with German clients. The main task of getINNOtized is the promotion of talents and the development of a digital ecosystem in the African country. 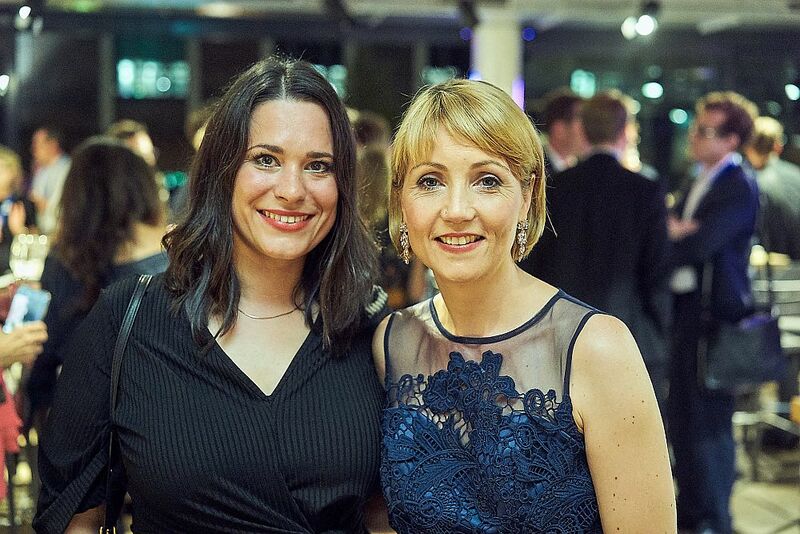 The jury especially praised the merging of different cultures. As we told you at the beginning, Cargonexx , the second candidate, got even more praise from the jury, but we’ll get to that later. So let’s continue with NautilusLog from Hamburg. 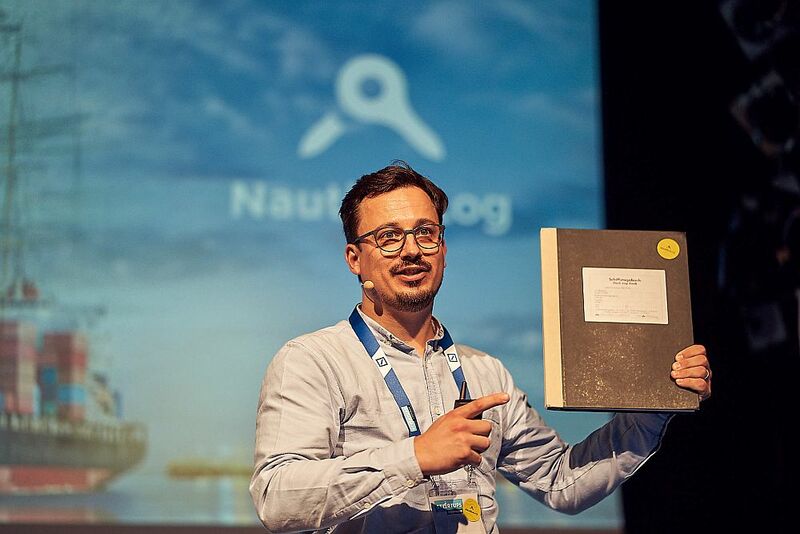 This young family business wants to digitize the sometimes cumbersome shipping industry and replace the unwieldy logbooks with an app. Founder Otto Klemke brought one of these books to the stage and also showed a sensor that can help with data collection. The jury saw a lot of potential in the fascinating topic and the fresh but experienced team. Agility was the keyword and the red thread for Leapsome. 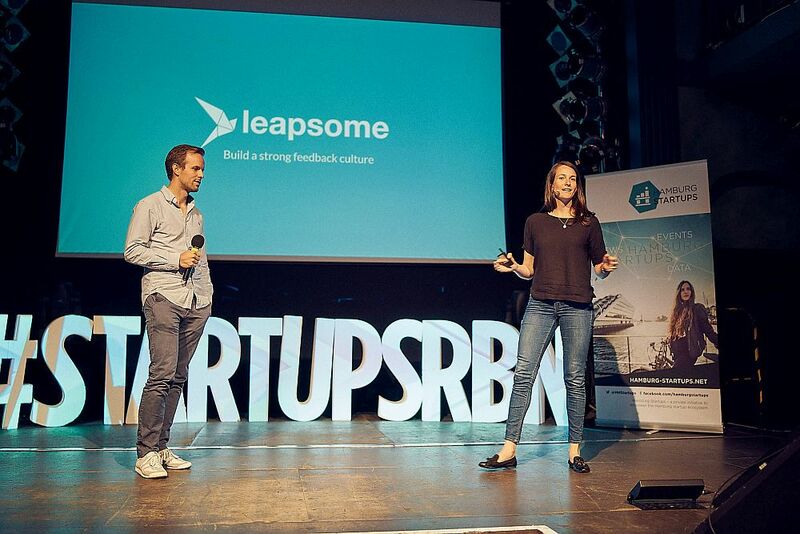 The founding duo Jenny von Podewils and Kajetan von Armansperg shared the seven minutes pitch time, which they received like all other applicants. The jury then had a further seven minutes to ask questions. It became obvious that Jenny and Kajetan had not explained their business model in a way that everyone could understand, despite their committed presentation. In contrast, so far they were able to convince more than 50 customers of their software for employee feedback and personnel development. So Leapsome is on the right track anyway. We also mentioned at the beginning that COLDPLASMATECH was able to win the audience award. 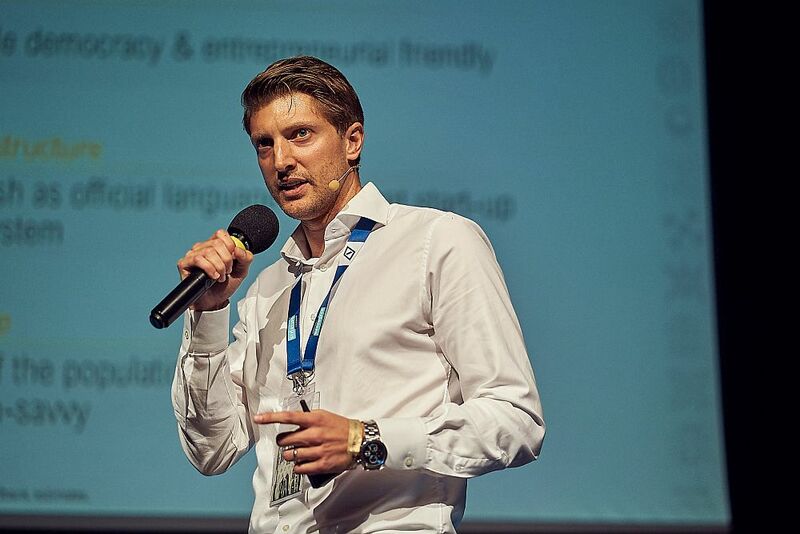 The founder, Dr. Carsten Mahrenholz, achieved this with an impressive pitch in which he showed how cold plasma can be of great help in the treatment of chronic wounds. As an example he described the case of a young woman who had caused herself severe burns and who could be saved thanks to the futuristic-looking technology. These are the kind of stories with which you can captivate the audience. After the five pitches, the spectators had the opportunity to choose their favourite. Therefor they could hand out fake $100,000 bills they had received at the entrance. This way COLDPLASMATECH got the most notes. 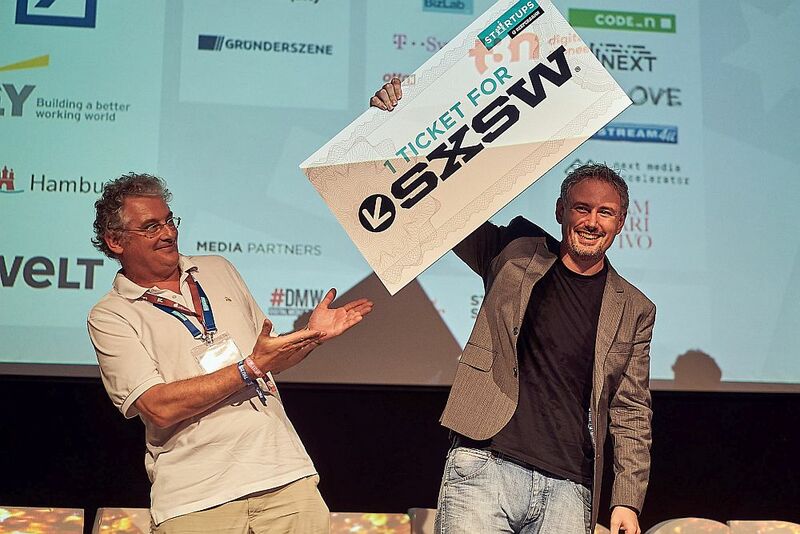 Carsten had to give back the wrong dollars, but now he has a real ticket for the festival South by Southwest (SXSW) in Austin, Texas, which will take place in March 2019. While the audience voted in their own way, the jury withdrew to a small room behind the stage to discuss the main prize winner. This year, the jury consisted of Scarlett Li (Vice President – China Media Capital), Dr. Cornell Wisskirchen (Managing Director, Regional Head Northern Germany, Deutsche Bank AG), Jan Nimtz (Managing Director, Axel Springer Media for Equity GmbH), Dr. Lars Janzik (CEO Vertical Media GmbH / Gründerszene), Veronika Reichboth (Head of the Hamburg Invest Startup-Unit), Jan-Menko Grummer (Partner EY), Prof. Dr. Stephanie Birkner (Professor Female Enterpreneurship, University of Oldenburg) and the aforementioned Leah Hunter (Author and Editor, Forbes and Fast Company). The preferences of the jury quickly became clear, but the shortlisted candidates were then the subject of a lively discussion. Ultimately, the overall impression was the deciding factor for Cargonexx. 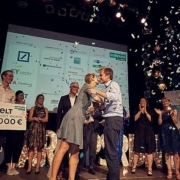 Founder Rolf-Dieter Lafrenz had entered his pitch with the topic of climate change, and thus picked up all those who hoped that a startup would also contribute to improving the world. Cargonexx helps to reduce CO2 emissions by reducing the number of empty truck trips. The Hamburg based startup uses artificial intelligence to achieve better capacity utilisation in transport traffic. It is already generating good sales and can still grow enormously on a market worth billions. This mixture of technological innovation and a scalable business model was ultimately the deciding factor for Cargonexx. I am super happy! There were very good startups, in between I even thought I didn’t have a chance. I’ve heard great stories about SXSW and I’m really looking forward to it. WELT’s media budget will also help us a lot, now we’ll see how to use it best. We say thank you, thank you, thank you!